The garage facility at PE Blake and Son was traditionally for the service and repair of our own fleet of vehicles and trailers. Over the years word got round about our expertise and we started to service other peoples stock too. 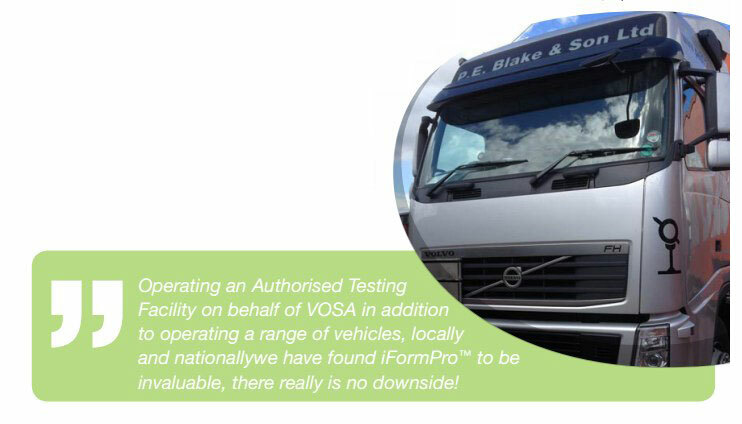 Then after becoming a VOSA testing station this continued to grow to the current day where we service a number of customer fleets plus ad hoc service, repairs and pre MOT checks. paperwork in a timely manner. It often took up to fifteen working days to have paperwork returned to the office. This meant that we also at least a week’s delay on getting invoices out for services already delivered. We needed to implement a smarter way of working that would allow information to be accurately sent and received the same day. This has allowed us to engage fully with our clients and deliver higher levels of service. Ad-hoc service requests are no longer an issue as the solution is able to capture engineer feedback (including photographs) of unplanned work that may be required. Since this information can be sent back to our office in real-time we can usually discuss the service requirement with the client and sign-off any repair works immediately. “I have already referred several other companies into Footprint Solutions and I couldn’t be happier with iForm Pro, invoicing the same day we finish a job has transformed the garage efficiency of our business”. iForm ProTM was simple from the very beginning. 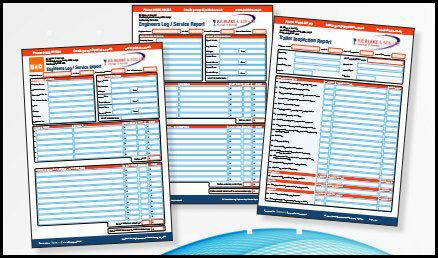 A trial solution was set-up in days and the team transformed our service sheets incorporating both the PE Blake and key customer brands. The trial was an immediate success and we knew that iForm ProTM was going to transform the way in which we did business. The solution is win-win really and allows the clients to receive a higher level of service. For head office we achieve same-day invoicing for jobs (previously invoiced on day 8) and service sheets are delivered throughout the day as jobs are completed rather than huge volumes hitting the admin team every once in a while. We can also monitor job progress as we know exactly when an engineer has finished on-site as the form is delivered just before they leave. We have also removed all of the old administrative tasks that we used to have to do such as scanning service sheets and re-keying data into our sales system as the system provides PDF output as standard. After just 3 months we couldn’t imagine having to run our business without iForm ProTM. The cost of running iForm Pro is cheaper than the cost of running a paper- based reporting solution and the Footprint team were able to provide our iPads with no up-front investment. There really is no downside to adopting iForm ProTM.